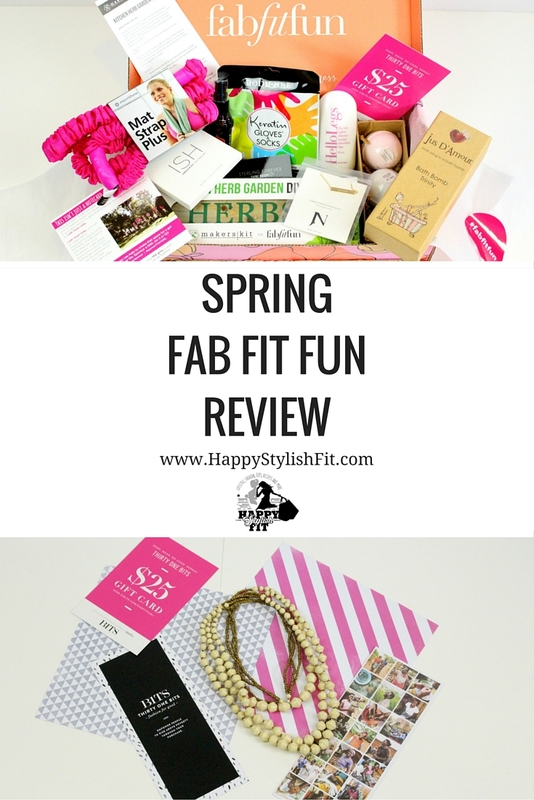 The Spring Fab Fit Fun box is jam packed with great products ranging from contour kits, to keratin socks, to yoga mat straps, to necklaces and everywhere in between. FFF is a seasonal subscription service that guarantees to always feature full sized products. 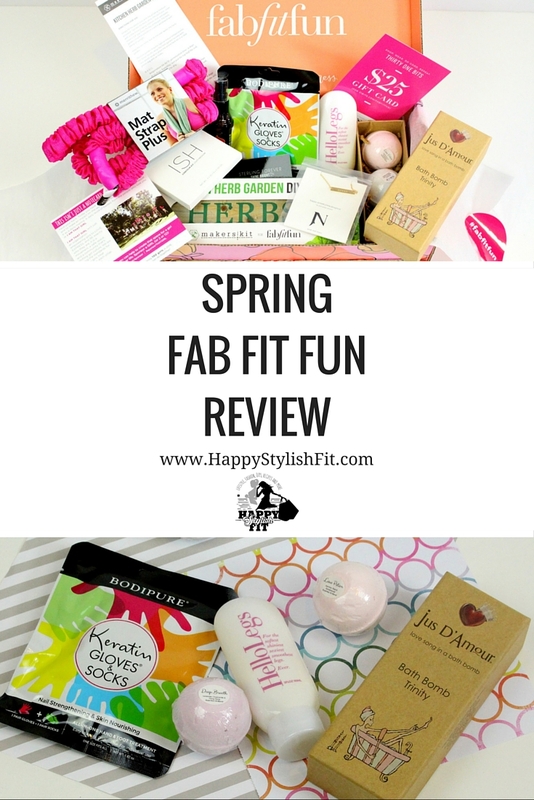 Read my Spring Fab Fit Fun review to find out if their box is the right subscription for you. This is my first contour kit and I’m really happy with it. The product is so great that I made a contour tutorial using the kit. It is available in light/medium and medium/dark to suit most skin tones. Everyone who signs up for Fab Fit Fun fills out a short quiz which helps them know which shades will suit each person. Value $32 USD. This multi purpose product is great. 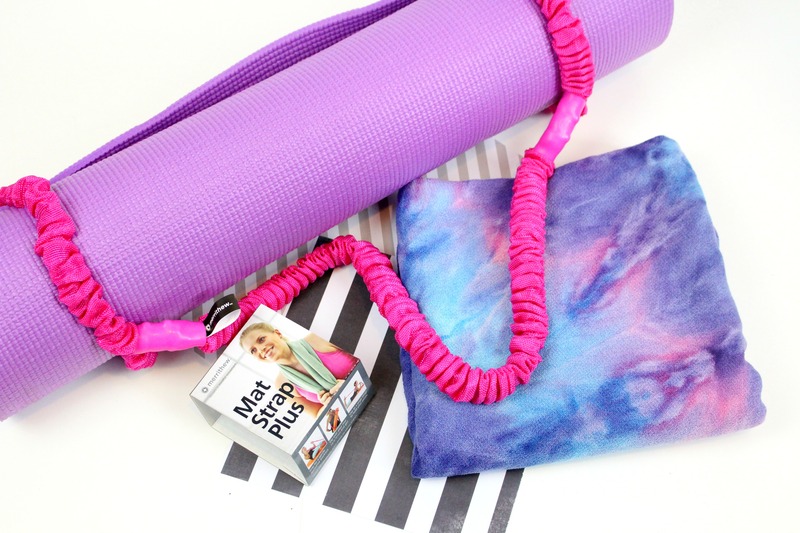 You can use it as yoga mat strap, or as a resistance band. I’ve always been happy with the Merrithew products that come in Fab Fit Fun boxes. There seems to be one of their products, or a gift card from them in each FFF box that I’ve received so far, and I’m happy with it each time. Value $14.99 USD + 25% off coupon code. This hair oil is the awesome! It smoothes out any frizz, and makes your hair nice and shiny. Fab Fit Fun generally always puts in 1 great hair product in each box. Value $22.99 USD. These gloves and socks made my skin feel soft and smooth for days and days. They were a little strange at first, but they were easy to use, and aren’t as messy as I thought they’d be. The gloves and socks are a nice large size, and I am sure they’llfit most people – the socks could easily fit up to size 12+. Value $9.98 USD + 20% off coupon code. Emulation means the effort to act as something else, and this shaving cream does a great job of acting like a lotion – it makes my legs feel super soft every time I use it, and I don’t have to use any lotion after! I found it to work very similar to using conditioner as shaving cream, and this way you can save your nice conditioner for your hair. Value $19.95 USD. 31 Bits is fashion for good. Every piece is handmade by Ugandan artisans who are receiving a steady income and the education they need to rise above poverty. 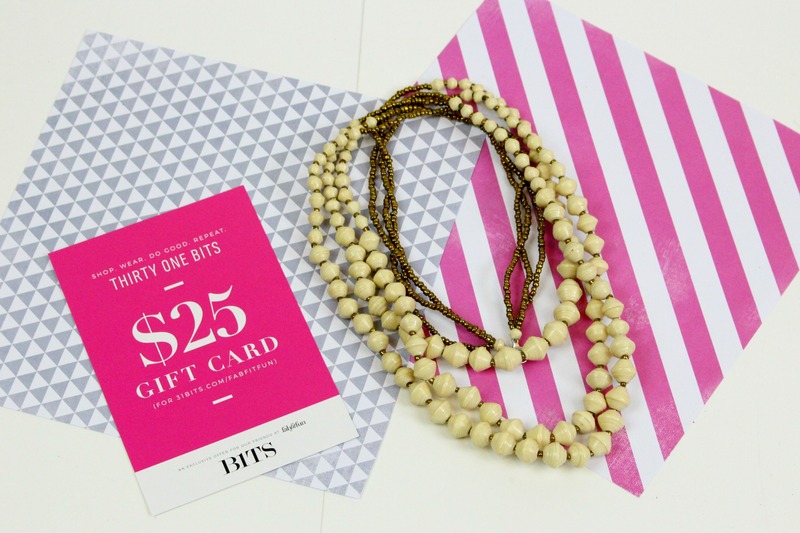 When you purchase a piece from 31 Bits you are helping empower women to change their lives. Value $25 USD. This super cute bath bomb set is made of organic ingredients and an essential oil blend. The 3 scent combos include eucalyptus, peppermint, and lime; lavender, chamomile, and ylang ylang; and jasmine, rose, and sandalwood. I’m not a big bath person, so I think I’ll hold onto this set to give it as a gift. Value $28 USD. One thing that I love about Fab Fit Fun is that you get a cute, simple jewelry piece in each box. The Spring FFF Box features Jook & Nona and their cute tag necklace. Each box came with either “happy”, “inspire”, or “dream”. Value $65 USD + 10% off coupon code. How cute is this little herb garden!? 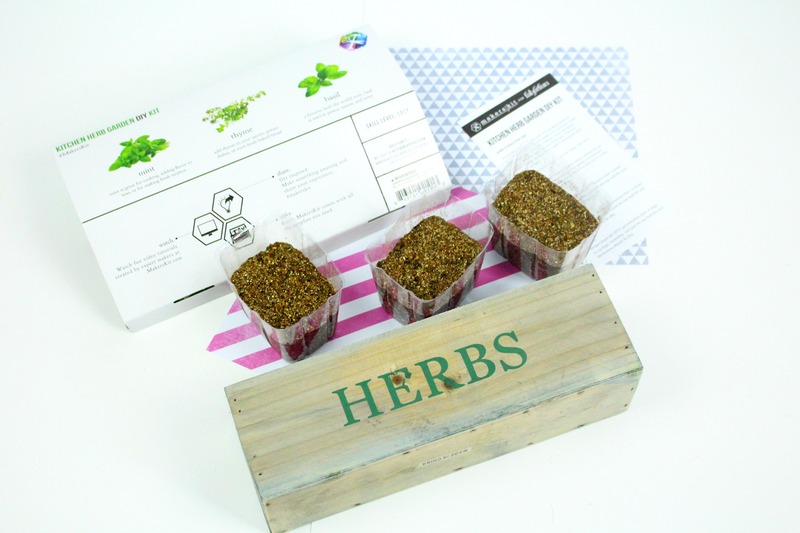 This kit includes everything you need to start your own indoor herb garden: containers, soil, seeds, and instructions. Make sure to read the instructions in full before you do anything. I rushed and started by putting in way too much water, and my seedlings never had a chance. I’m going to try again with some new soil and new seedlings. Value $35 USD + 20% off coupon code. Sterling Forever has some gorgeous pieces that range from classic to trendy. There are so many pretty little things to choose from that I can’t decide between the below 2 items. Help me decide by letting me know which one is your favourite in the comments below. Value $30 USD + free shipping. 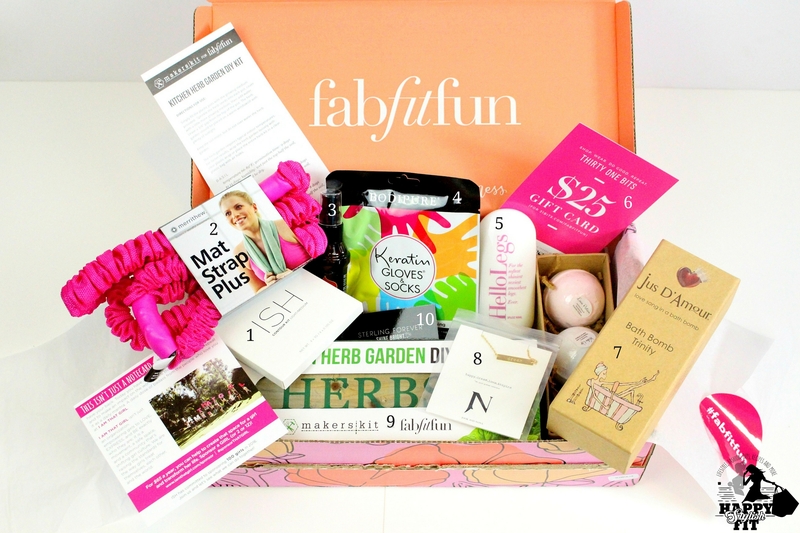 Overall the Fab Fit Fun box is valued at $282.91 USD. Although the price tag for the box is a little high, especially at $79.94 with the Canadian conversion, I still think it is well worth it when you look at everything you get for your money. It is a seasonal box, so It ends up being very comparable to other smaller, monthly subscriptions like Ipsy, with one main difference that you are guaranteed to have all full sized products. There is usually 1 piece of jewelry, 1 beauty mask or cream, 1 makeup item, 1 hair item, 1 fitness item, 1 fun seasonal item, plus a few gift cards and a few other products. Again, it’s so worth the cost, and it’s fun to check out the new products and brands. 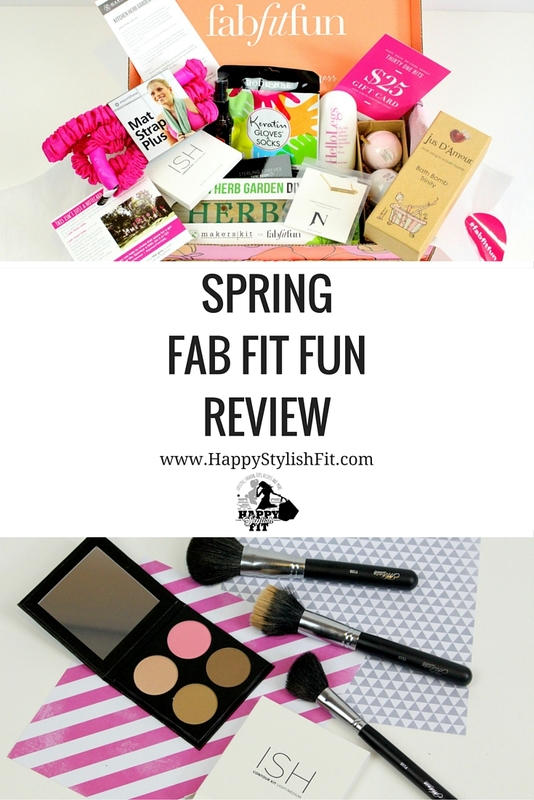 If you have any questions about Fab Fit Fun or any of the products, please leave me a comment below and check out my last Fab Fit Fun review.